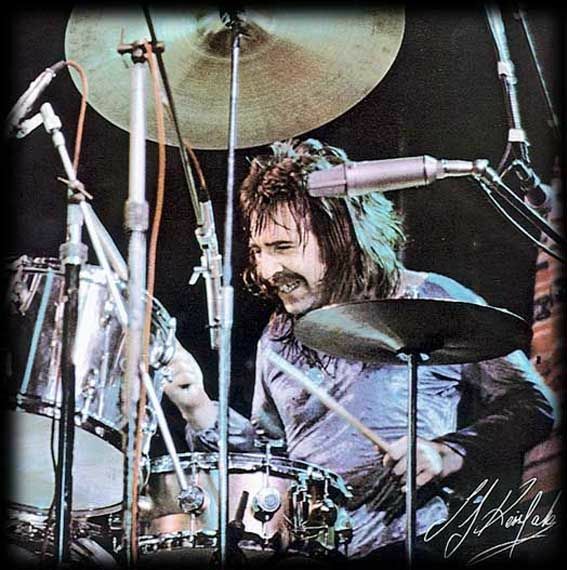 Lee Kerslake (born 16 April 1947 in Winton, Bournemouth, Hampshire now Dorset, England). Kerslake joined Uriah Heep in November 1971, left the band in October 1979, and rejoined them in April 1982. In early 2007 it was announced on the Heep website that Kerslake left the band 'due to ongoing health problems'. With Heep Kerslake also performed backing vocals both on album and on stage. During his time out of Uriah Heep, he was hired by Ozzy Osbourne, with whom he recorded Blizzard of Ozz and Diary of a Madman, and played with bass guitarist Bob Daisley, who later joined Uriah Heep. On the Diary of a Madman notes, Kerslake and Daisley weren't credited. The two musicians were fired in late March 1981, just after the recording session, and replaced for the tour by Tommy Aldridge and Rudy Sarzo. Aldridge's and Sarzo's photos were put on the album and they were credited as studio musicians, but they didn't play on the album. In 1998, Kerslake and Daisley filed suit against Ozzy Osbourne and his manager (and wife) Sharon Osbourne, seeking royalties and songwriting credits for their contributions to the Blizzard of Ozz and Diary of a Madman albums. Osbourne subsequently erased Kerslake and Daisley's playing on both albums, replacing their performances with tracks by bassist Robert Trujillo and drummer Mike Bordin. In 2003, Kerslake and Daisley's lawsuit was dismissed by the United States District Court in Los Angeles. This dismissal was upheld by the United States Court of Appeals for the Ninth Circuit. Associated acts: Uriah Heep, The Gods, Toe Fat, Head Machine, National Head Band, Ken Hensley, David Byron, Ozzy Osbourne, Living Loud.